When I heard your book was poetry, I said, “no thanks—real hockey players don't write poetry!” But then a friend gave me your ‘Hock and McKey’ poem to read about the roots of ice hockey, and I laughed so hard it made my sides ache! I would never have believed I could have so much fun reading this stuff! I went out immediately and bought several copies of your book for friends who love it! As a woman who's never had an interest in sports and knows absolutely nothing about hockey, it's hard to believe I could enjoy this book so much! It made me laugh out loud and it made me cry (especially your poem “Donuts!” about Tim Horton). I love the rhyme and rhythm of these poems—it's addictive and what's more, you've turned me into a hockey fan! I'm a long-time hockey fan and have to admit I've always enjoyed the fights. The way you describe them so vividly and colorfully in your poems ‘The Irish Rebellion,’ and ‘The Mighty Hutch,’ made me feel like I was in the middle of the action. Knowing these fights were actual events is the best part and puts this book over the top! There are no words I can use to describe the ‘Series of '72’ except that it's absolutely brilliant! Reliving the events of that Series in rhyme was amazing! The colorful and descriptive language is gripping and could only have been written by someone with an intimate, inside knowledge of the game, and a rare gift for the written word. 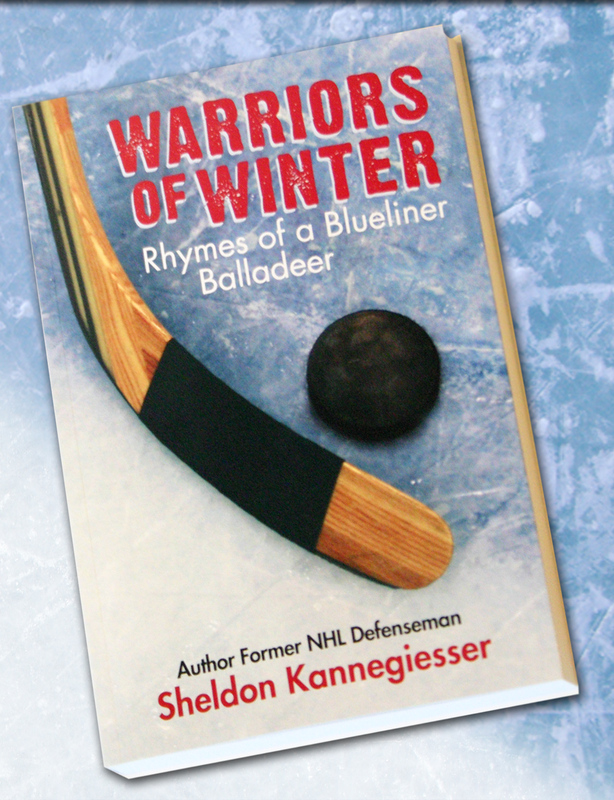 From Professional Hockey Player to Profound Poet, former National Hockey League defenseman Sheldon (Shelly) Kannegiesser's work, ‘Warrior's of Winter,’ carries within its pages the ghost of legendary poet, Robert W. Service. 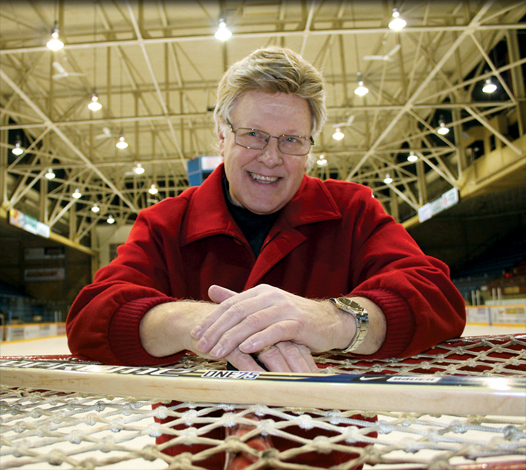 From firsthand experience, Shelly will take you inside the game of hockey like no other! You'll go for a ride on ‘The Iron Lung’ (from his poem of the same name)—an old beaten down bus in the Central Hockey League. In his ballad, ‘On The Road Again,’ you'll experience the day-to-day routine of a two week NHL road trip, hanging out in airports, and getting prepped up for a game. You’ll witness firsthand the blow by blow of hockey fights as if you were there in the middle of the action and taste the jitters and dry mouth of a rookie’s first NHL game. In his ballad ‘Glory Days,’ Shelly takes us down memory lane to the days of a six team league as he recounts the “Rocket Richard Riots” and reminds all of us why hockey is ‘Canada's first religion.’ In addition, Shelly replays the greatest event in hockey history: ‘The Series of 72’ in an epic ballad that will leave every red blooded Canadian bursting with national pride! Further, Shelly's rhythmic take on some of the legends he played with and against such as Bobby Orr, Tim Horton, Gordie Howe, Derek Sanderson and Dave “Tiger” Williams will hold you spell bound! The rhyme and rhythm that ramble through the pages of this book are addictive and remind you of another era as it sticks in your head, and keeps you coming back for more!